Detroit forward Tyler Bertuzzi was suspended for two games without pay by the NHL on Monday for his hit on Colorado's Matt Calvert over the weekend. Sure, the Red Wings have a great new arena. But that's about it for the "new" on an aging team that has little cap space to play with and few younger players to give the short term some promise. 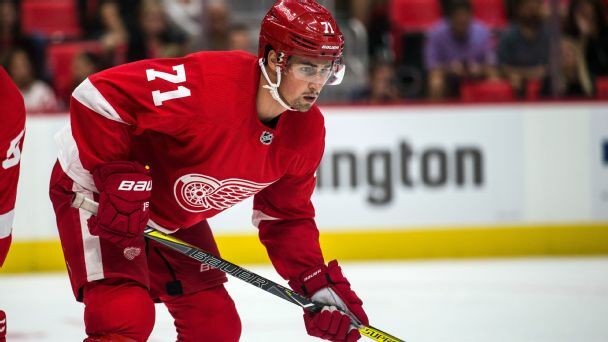 The Detroit Red Wings removed forward Tomas Jurco from long-term injured reserve and recalled him from Grand Rapids of the AHL on Monday. 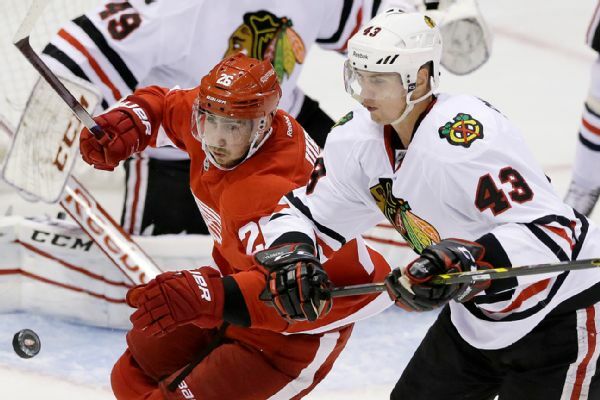 Red Wings forward Darren Helm has a dislocated shoulder and will miss at least six weeks. 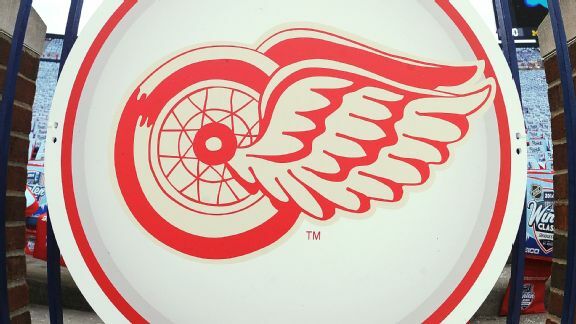 Detroit prospect Tyler Bertuzzi knocks the defender's stick right out of his hand before going to his backhand for the goal at Red Wings' development camp.